Between them, Laird Norton Properties (LNP) and Heartland LLC have more than a century’s worth of experience in Seattle’s real estate market and have seen their city grow and change more rapidly than ever before. The two companies announced a strategic merger with the intent of diversifying their already impressive real estate portfolio even further and spoke about the companies’ plans for the future. The Bellingham Stateside project is moving forward after the city approved a waiver reducing the number of required car parking spaces in favor of more spots for bikes. Stateside will cater to college students, particularly those attending nearby Western Washington University. The city’s parking reduction approval was based on many factors, including the city’s climate protection action plan to reduce the use of automobiles in the downtown core. Among the 18 different project improvements are a bike repair shop, a car share vehicle and improving pedestrian crossing of North State and Laurel streets. LNP is pleased to announce a merger with Heartland LLC that will position both firms with a unique, multi-faceted and fully integrated business and real estate enterprise. LNP and Heartland will continue with their respective client portfolios and Joint Venture Partnerships but will now have a combined set of expertise to provide a broader reach of asset management, real estate and business advisory, and capital alignment services for multi-family portfolios, joint venture projects, and future real estate assets. Despite the influx of jobs and unemployment rate below 4%, wage growth has remained stagnant, leaving millions of middle-class Americans without savings, living paycheck to paycheck as they continue to fight for what generations before have taken for granted: decent, affordable housing. Laird Norton Properties and Spectrum Development are a few of the companies throughout the United States addressing this concern. Laird Norton Properties (LNP) and Spectrum Development Solutions (Spectrum) announced today, as part of their joint venture, that they will be developing a new mixed-use project (currently identified as Building “C”) at Othello Square. Located at the northwest corner of the campus, the project will be six-stories and approximately 275,000 sq. ft. with 176 workforce apartments targeted at individuals and families earning 65% – 120% of AMI. The first two floors will be home to a new Odessa Brown Community Clinic which Seattle’s Children’s Hospital also announced today. 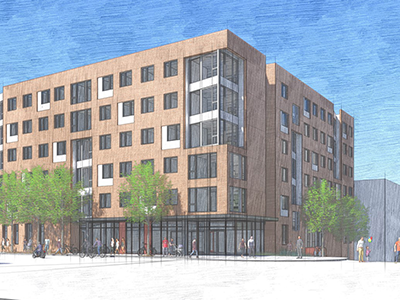 Together the mixed-use development will increase access to health care for lower-income families and provide much-needed workforce housing at the Othello light rail station. 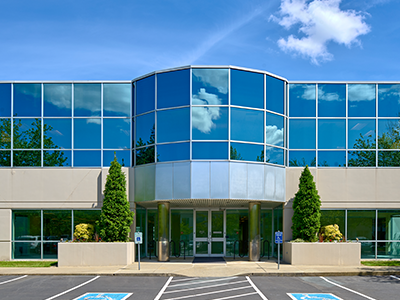 Laird Norton Properties' investment push into the suburbs continued Monday with the purchase of Blackriver Corporate Park in Renton. Laird Norton Properties (LNP) is a Seattle-based real estate investment firm that owns and operates a national portfolio. It is a wholly owned subsidiary of Laird Norton Company (LNC), a 160-year-old, seventh-generation family enterprise with significant investments in consumer and financial companies. Backed by an experienced team of real estate professionals, Laird Norton Properties provides the flexible capital, thoughtful structures, and diligent management required to successfully execute on strategies across the yield-spectrum. Laird Norton Properties recently announced their merger with Heartland LLC, creating a fully integrated real estate enterprise. Heartland’s Jim Reinhardsen has been named President of Laird Norton Properties, where he will oversee the investment, development, and strategy for the company. Jim will continue to serve as Heartland’s Senior Managing Director and Chairman of the Heartland Board of Directors. Through the merger, Heartland will provide real estate advisory, asset management and capital alignment services for LNP’s office and multi-family portfolios, joint venture projects, and future real estate assets. LNP has a strong track record of developing programmatic long-term relationships that provide our partners with access to a flexible source of capital. LNP invests its own capital, providing flexibility in our investment and joint-venture structures, and allowing us to move fluidly through investment cycles. LNP entered our first joint venture in 2010, with Unico Properties, focusing on Class-A office and multifamily property investments located in Seattle, Portland, Denver, and Salt Lake City. In 2017, we entered the development space with the formation of a $500 million programmatic joint venture with Seattle-based Spectrum Development Solutions. The platform targets opportunities throughout the Puget Sound region to develop student housing and workforce multifamily assets affordable to renters earning 60% to 120% of area median income. Earlier this year we merged with Heartland LLC, creating a fully integrated real estate enterprise and expanding our breadth of capabilities and potential to continue expanding our portfolio. What began in 1855 as a frontier logging operation in the Minnesota wilderness has evolved into one of the longest-standing family enterprises in the United States. Today, the Laird Norton name represents a company with diverse interests and more than 400 family shareholders. One of Laird Norton Company’s most successful investments was in Lanoga Corporation, the nation’s third largest professional building materials dealer at the time. After 40 years of management, Laird Norton Company sold Lanoga Corporation in 2006, but retained the real estate assets, creating a national portfolio of 262 fully leased light-industrial, retail, and commercial properties in 23 states, owned and managed by the newly formed Laird Norton Properties. 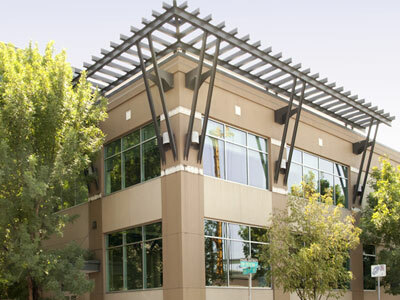 In 2010, Laird Norton Properties began an initiative to strategically diversify its real estate portfolio through the acquisition of Class-A office and multifamily property investments of more than $300 million in twelve assets located in Seattle, Portland, Denver and Salt Lake City. In 2017, Laird Norton Properties formed a $500 million programmatic joint venture with Seattle-based Spectrum Development Solutions to target student housing and workforce housing opportunities throughout the Puget Sound. In January of 2019, Laird Norton Properties merged with Heartland LLC to create a fully integrated real estate enterprise, allowing the company to be flexible with markets and market cycles. Today, Laird Norton Properties is the Laird Norton Company’s largest investment, with holdings of more than $700 million distributed throughout the Midwest and the Western United States. Building on an initial legacy portfolio of industrial and commercial assets, LNP has increased the portfolio’s value through targeted acquisitions, active asset management and select partnerships with leading real estate operators and developers. LNP’s current portfolio is a diverse national assemblage of industrial, retail, office and multi-family properties valued at more than $700 million. 12th and Northrup is a 75,000 square-foot two-story office and data center located in the heart of Portland’s coveted Pearl District. Built in the late 1930’s the building has been extensively renovated over the last 10 years. 12th & Northrup is a classic Pearl District asset, successfully embodying the intersection between historical industrial roots and modern professional atmosphere. 17th and Larimer is an eight-story, 119,000 square-foot multi-tenant office building with ground floor retail located in the LoDo (Lower Downtown) area of the Denver Central Business District. Initially constructed in 1980, the building underwent a complete renovation in 2009. 17th and Larimer is a LEED-Silver certified building and located within walking distance of Coors Field and the redeveloped Union Station. 2323 Elliott is a two-story, 72,000 square-foot office building located in the Waterfront submarket of Downtown Seattle. The building is master leased to the Art Institute of Seattle and features sweeping, unobstructed views of Elliott Bay as well as large, highly-efficient floor plates. 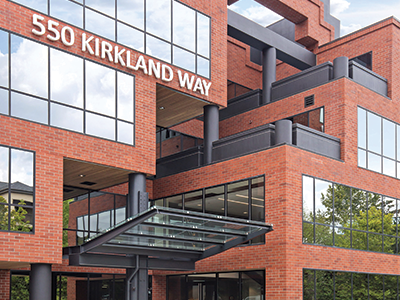 550 Kirkland Way is a 75,000 square-foot, five-story multi-tenant office building situated in downtown Kirkland, just minutes from Seattle. The building is within walking distance of an array of street front retail and the Lake Washington waterfront. Several suites boast outdoor decks and most floors offer waterfront views. 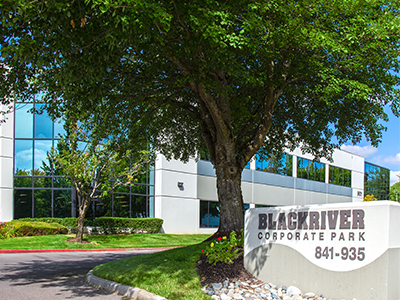 Blackriver Corporate Park is a 13-building, 236,500 square foot office campus which sits on 23 acres in Renton, Washington. 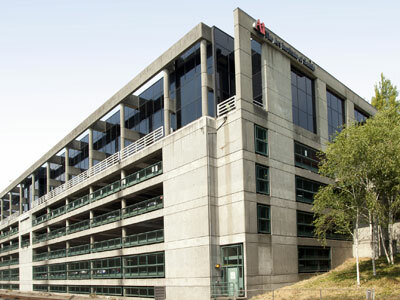 The office campus sits at the south end of Lake Washington, with easy access to I-405, I-5 and Westfield Southcenter. The campus, originally built from 1983-1989, sits on three discontinuous parcels. 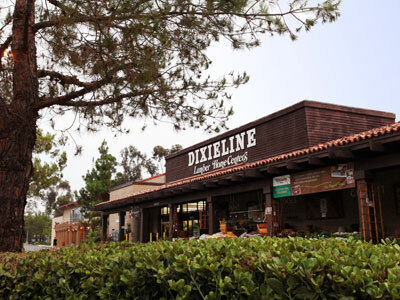 The property features one and two-story buildings ranging in size from 8,500 to 40,000 square feet, a tenant amenity center and gym, and a parking ratio of nearly 5 stalls per 1,000 square feet, all in a landscaped setting adjacent to the Springbrook Trail and Blackriver Riparian Forest and Wetland. 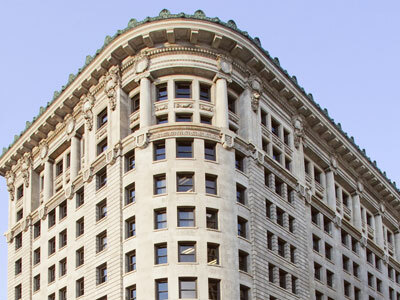 Located in downtown Salt Lake City, the historic Boston Building is a 100,000 square-foot 11-story multi-tenant office building with scenic views of the downtown skyline and within walking distance of City Creek Center. The building was considered one of the state’s first skyscrapers when it was built in 1909 and underwent significant renovations in 2009. Situated within the city’s Central Business District, the building is a short walk from hotels, museums, and restaurants. 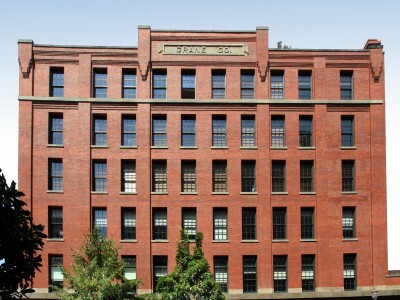 The 1901 vintage Crane Building, located in the Pearl District of Portland, is a six-story, 49,000 square-foot space that was fully renovated in 2006. This mixed-use property includes 30 residential units, ground floor retail, and two full floors of office space. This national portfolio currently includes over 150 properties in 23 states with a combined value of approximately $250 million. The portfolio, which is managed by LNP, includes lumberyards, distribution centers, light manufacturing facilities, and office buildings. 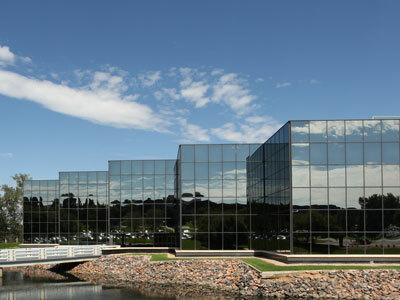 Harlequin Plaza is a two-building multi-tenant business park located in Denver’s Greenwood Village submarket. Comprising of 329,000 square feet and situated within a landscaped 18-acre campus, the property boasts an array of onsite amenities including a deli, fitness center, showers, locker room, covered parking, and a 46,000 square-foot outdoor plaza. 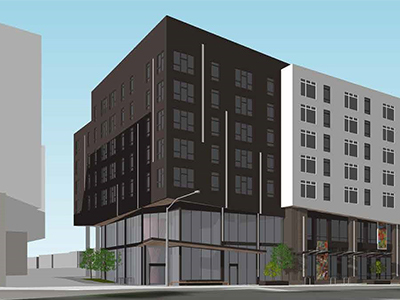 Located at the northwest corner of Othello Square and South Othello Street in Seattle, “Building C” will be dedicated to both workforce housing and an Odessa Brown Children’s Clinic. While the fully integrated pediatric, medical, dental and mental health clinic will take up the bottom two floors of the building, the upper five floors will be workforce housing available to individuals and families earning 65 to 120 percent of AMI. The project is part of the larger Othello Square campus, which is a uniquely integrated, culturally competent and welcoming gateway center comprised of four development parcels. The Campus is designed to represent the diverse and international nature of Southeast Seattle, a community where all residents and neighbors find homes, educational and business development opportunities, family-wage jobs, health care, social services and a variety of small enterprises at which to shop, eat and play. Redmond Junction at Bear Creek, located in downtown Redmond, WA, is a 168,385 square-foot office campus that comprises two, two-story, class A buildings. The office campus underwent extensive renovations from 2006 - 2009 that included cosmetic and mechanical upgrades as well as the installation of fiber optic systems. An updated central courtyard was also completed earlier this year. The property will undergo additional upgrades in 2018 including renovated lobbies and common areas, base-building upgrades, and landscaping and programming focusing on tenants' health and wellness and better connecting the property to nearby amenities. Located near the terminus of Washington State Highway 520, the property is less than three miles from Microsoft’s world headquarters and within a mile of downtown Redmond's future light rail stations as well as a half-mile walk to the King County Metro Park and Ride, and within walking distance of Redmond Town Center. Stateside is the second joint venture project with Laird Norton Properties' partner, Spectrum Development Solutions. 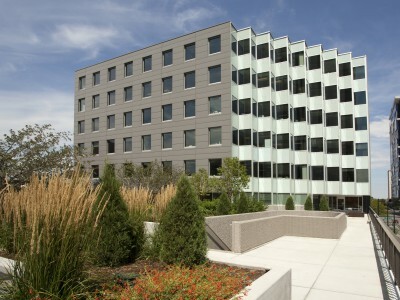 Stateside is a 272,746 square foot housing project, serving Western Washington University students, faculty and professionals in the Bellingham area. The two building site incorporates an open and outdoorsy vibe and progressive commitment to sustainability that sits adjacent to the South Bay Trail. The site has a walk score of 90 being located in a dense, mixed-use neighborhood with nearby amenities, food and entertainment. The programming in the building is thoughtfully designed with study rooms, a fitness center, community kitchen, roof top deck, bike storage and in-unit furniture provided for future residents. Jeff Vincent, President & CEO, has been leading Laird Norton Properties’ parent company, Laird Norton Company, since January of 2001. With more than 30-years of business experience, Jeff has restructured business operations, acquired companies, and directed a variety of strategic initiatives to accelerate growth. Jeff oversees all operations of the company and is a member of the Laird Norton Company Investment Committee. Jeff serves as a director on several boards, including: Laird Norton Company, Laird Norton Properties, Fusion Education Group, and Laird Norton Wealth Management. He currently serves as a member of the Washington Roundtable and is a past Chairman of the Washington State Board of Education. Jeff received a BSBA from Drake University and an MBA from the Harvard Business School. Jim Reinhardsen, President, joined Laird Norton Properties in 2019 through the merger with Heartland LLC. Jim has over 40 years of extensive experience in evaluating, negotiating, and structuring complex real estate projects, ventures, and transactions. As President, he is responsible for overseeing the investment, development, and strategy for Laird Norton Properties. Jim also serves as the Senior Managing Director of Heartland LLC and Chairman of the Board of Directors. In these roles, he provides support to Heartland’s senior management on real estate advisory, operating, development and investment activities. In such capacity, Jim focuses on the unique multi-faceted capacities and expertise that both Laird Norton Properties and Heartland LLC can offer existing and new clients. Prior to Laird Norton Priorities, Jim a founder of Heartland LLC ‘s real estate advisory business where he was a Principal and Senior Managing Director for 31 years. In addition to the Heartland LLC Board, he is currently on the Board of The Mountains to Sound Greenway Trust, Sellen Construction, The Runstad Department of Real Estate at the University of Washington, and Seabrook. Jim has been extensively involved with real estate education at the University of Washington for over 30 years. Angie joined Laird Norton Properties in 2018 as Assistant Controller, bringing over 17 years of accounting experience in the property management industry. She is responsible for the controls and procedures for the real estate properties and the production of the real estate portfolio, financial reporting, and is the liaison with the property management and accounting firms. Prior to joining Laird Norton Properties, Angie was the Director of Property Accounting at Unico Properties LLC, a Seattle real estate investor and manager. Her industry experience also includes being a portfolio accountant with Kennedy Associates Real Estate Counsel in Seattle. Jake Okleberry, Light-Industrial Portfolio Manager, joined Laird Norton Properties in 2015. Jake is responsible for overseeing and analyzing the performance of the light-industrial portfolio, which includes providing financial and market analysis related to leasing and disposition decisions, internal reporting, and property management supervision. Jake started his real estate career as an analyst with Northwestern Mutual Investment Management Company and has worked for a broker-dealer specializing in 1031/TIC investments and a re-developer of industrial projects. Jake received his BS from Weber State University and earned the CFA designation in 2013. Audra Brown joined LNP as a property manager in 2011, overseeing all property management services for LNP’s industrial portfolio. Audra directs a team of regional property managers and is responsible for ongoing portfolio operational activities. She has more than 13 years of experience in property management, budgeting, and dispositions. Audra is a licensed Washington Real Estate Broker, a member of the Institute of Real Estate Management and is working to achieve her Certified Property Manager designation. Jennifer Polson is the Marketing & Communications Manager for Laird Norton Properties and has been with the company since 2012. Jennifer’s responsibilities include the development and implementation of communications and marketing strategies for Laird Norton Properties. She is responsible for all marketing campaign components encompassing print, media, social media, and internet presence. Jennifer has more than eleven years of real estate experience which includes property management, tenant relations, marketing and office management. She received a BA in public relations from Washington State University. British Getzendanner joined Laird Norton Properties in 2019 and wears many hats - she is executive assistant to the LNP President and the Laird Norton Company Board Chair. In addition, as a sixth generation Laird Norton family member, British has served on the Family Council Committee since 2014 which helps plan and coordinate the annual Family Summit. Pacific Northwest born and raised, British enjoys gardening, alpine skiing and really anything that takes her outside. British and her husband, Joe live in Kirkland with their 3 young children. In 2019, Laird Norton Properties merged with Heartland LLC, positioning both firms with a unique, multi-faceted and fully integrated business and real estate enterprise. LNP and Heartland continue with their respective client portfolios and joint venture partnerships, but now have a combined set of expertise to provide a broader reach of real estate and business advisory services and execution capabilities in real estate investment, brokerage, relationship alignment, capital markets, and asset management across all real estate product types.